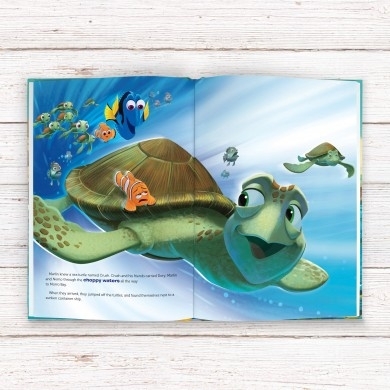 Finding Dory, the sequel to the Disney smash hit Finding Nemo is faithfully recounted in this brilliantly vibrant book. 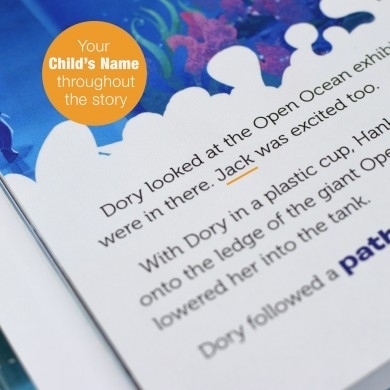 Dory has short term memory loss, so remembering anything is a struggle, but she still had a vague memory of her parents, who she lost when she was young. 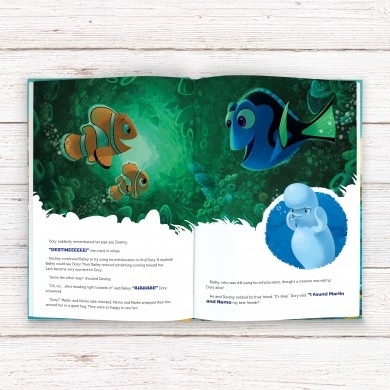 Together with the help of Nemo and his father Marlin, Dory sets out to find her long lost parents. 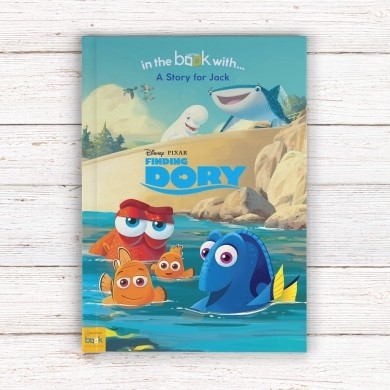 Dory and her friends encounter many obstacles along the way, but her positive attitude and belief carry Dory, and her friends on. 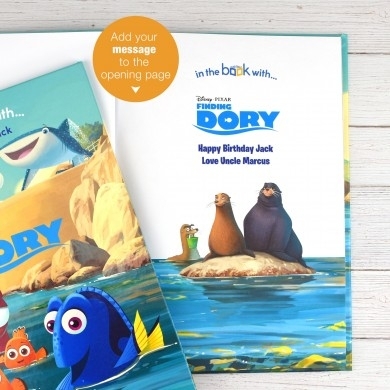 Perfect for fans of the 2016 film, you will be riding the current with Dory and friends until the very last page. 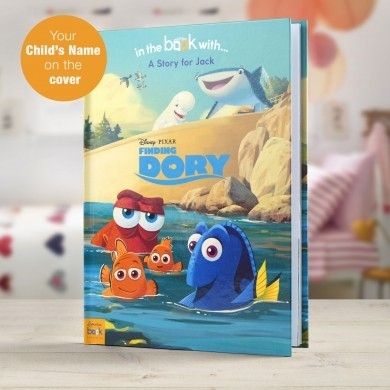 The recipient's name will appear throughout the book, and you can also add a name and personalised message to the first page. To see a sample of this book please click here.